As paraprofessionals, pharmacy technicians support licensed pharmacists by assisting with activities related to the dispensing of medications and other tasks not requiring the professional judgment of the pharmacist. Their duties include receiving and processing prescriptions, selecting medication products, packaging and labeling containers, dispensing prescriptions and medication orders, maintaining inventories, and ordering supplies. With sufficient training, pharmacy technicians might also accept refill requests, prepare sterile compounds and IVs, assist customers, and perform other duties specific to the pharmacy. Pharmacy technician programs equip adults with a broad knowledge of the operations in retail and institutional pharmacies. Programs that are accredited by the American Society of Health-Systems Pharmacists (ASHP/ACPE) will include a pharmacy internship in both settings. Graduates will have the essential knowledge to pass a national certification exam for registration with the Texas State Board of Pharmacy. 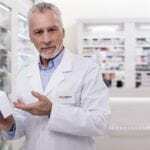 Employment of pharmacy technicians is expected to increase by 12 percent from 2016 to 2026 due to a growth in community pharmacies, a rise in the senior population, and increasing responsibilities of pharmacy technicians. The median annual salary for pharmacy technicians was $31,750 in 2017. 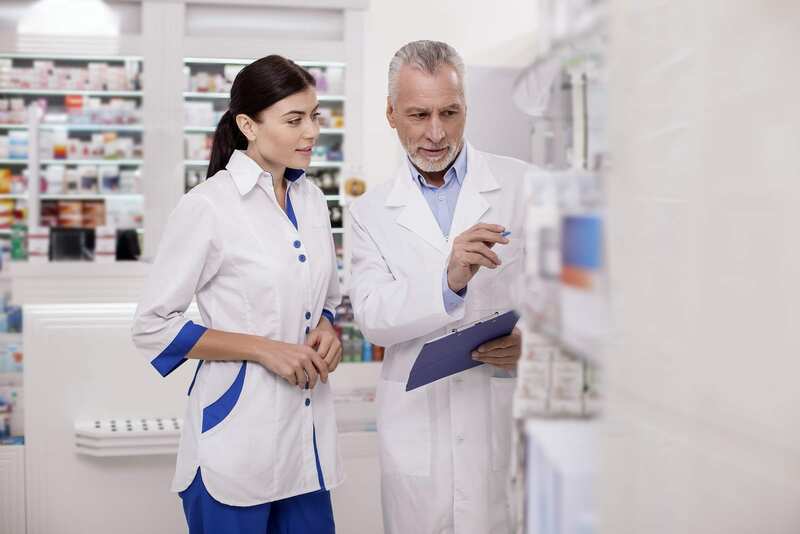 The Pharmacy Technician Program at San Jacinto College prepares adults with the knowledge and skills to assume entry-level positions in retail and institutional pharmacies. Students will also have the essential preparation for success on a national certification exam. The program operates with the approval of the Texas Higher Education Coordinating Board (THECB), so graduates will receive a Pharmacy Technology certificate. It is accredited by the American Society of Health-Systems Pharmacists (ASHP/ACPE). New students will be admitted twice yearly: a full-time day program is available in the Fall semester and a full-time evening program is available in the Spring semester. Tuition for the program is $3,706 and includes a drug screen, immunization fees, textbooks, lab fees, CPR certification, and incidental fees. College of the Mainland employs classroom lectures, hands-on labs, and pharmacy internships to prepare adults for a rewarding career as a pharmacy technician. Instructors bring a wealth of experience in the classroom to prepare students for success in the field. The ASHP accredited program includes 160 hours of pharmacy internships at a community, institutional, and specialty pharmacy. The internship reinforces the didactic material and could lead to employment for some students. The certificate program requires completion of 30 credit hours and includes topics like introduction to pharmacy, pharmaceutical math, institutional pharmacy, pharmacy drug therapy and treatment, pharmacotherapy and disease process, intravenous admixture and sterile compounds, and institutional and community pharmacy internships. The AAS requires completion of 60 credit hours. The program limits admission to 24 students each fall. The cost of attendance is $2,500 and includes fees, books, drug screen, background and licensing. Financial aid is available. Brightwood College provides students with the knowledge, technical skills, and competencies to assume an entry-level position in a retail or institutional pharmacy. Students will learn how to transcribe physicians’ orders, prepare medication for dispensing, update patient profiles, label packages, select drug products, authorize refills, and prepare unit dose medications, IV admixtures, and sterile irrigations. The program will train students to manage medical emergencies to receive CPR certification through the American Heart Association. The curriculum covers 760 contact hours of theory and practical training in 36 weeks. These hours include 550 hours of lectures and 210 hours of hours of digital instruction. An additional 200 contact hours will be required for the pharmacy externship. A completion of 55-quarter credit hours is required for graduation. Graduates will receive a Pharmacy Technician Diploma. Tuition for the program is $17,000. Houston Community College hosts a pharmacy technician program through the College for Health Sciences. Students will learn how to perform calculations for the preparation of pharmaceutical products, process prescriptions, prepare medications for dispensing, demonstrate professional behavior by maintaining confidentiality, assist the pharmacist in product distribution and drug therapy management, use proper methods in the compounding and preparation of sterile products. They will also have advanced knowledge to pass the PTCB exam. The program is ASHP/ACPE accredited, so students can be assured of receiving training and skills that meet national standards. They will also be eligible for IV certification since the program meets the Texas State Board of Pharmacy requirements. The curriculum will cover nine distinct domains that meet the ASHP’s 45 educational goals. Categories include Personal/Interpersonal Knowledge and Skills, Foundational Professional Knowledge and Skills, Processing and Handling of Medications and Medication Orders, Sterile and Non-Sterile Compounding, Procurement, Billing, Reimbursement and Inventory Management, Patient Medication Safety, Technology and Informatics, Regulatory Issues, and Quality Assurance. Classes will meet 4 to 5 days a week. Day classes are from 8:00 am to 4:30 pm. Clinical rotations are typically between 6:30 and 10:00 pm. Tuition for the program is approximately $3,541 for the AAS. The estimated cost of expenses is $2,768 and includes books, registration, uniform, background screen, medical insurance, TB test, vaccinations, PTCB exam, and parking. The 50-hour pharmacy technician program at Texas Southern University prepares students for employment in a retail or another pharmacy. Graduates will have the didactic competency to take and pass the Pharmacy Technician Certification Board exam. The curriculum will cover pharmacy medical terminology, define drugs by generic and brand names, pharmacy calculations and measurements, pharmacy operations in multiple pharmacy environments, the history of pharmacy, and law and ethics. Classroom lectures and hands-on lab will cover dosage calculations, sterile compounding, top 200 drugs, drug classification, dose conversion, IV flow rates, aseptic techniques, dispensing of prescriptions, total parental nutrition, inventory control, and billing and reimbursement. Students must complete a final graded exam to graduate and will also serve as preparation for the PTCB. The tuition is $1,299 and includes the cost of the course textbook. The comprehensive pharmacy technician program offered by the University of Houston covers the skills and knowledge students need to assume entry-level positions in retail and institutional pharmacies in just 50 hours. The program is delivered online but includes a pharmacy externship. Students also have the option to attend classes on campus. Graduates will be prepared to sit for the Pharmacy Technician Certification Board’s PTCB exam. 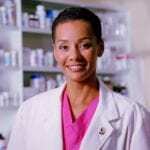 Topics covered in the course include the history of pharmacy and healthcare, routes and formulations, the role and responsibilities of a pharmacy technician, drug regulation and control, pharmaceutical terminology, human anatomy, pharmacy technician and registration, types of pharmacies, pharmacy measures and abbreviations, pharmacy calculations, prescriptions and labeling, factors affecting drug activity, basics of IV solutions, total parenteral nutrition, and basic biopharmaceuticals. Other topics include drug names and classes, brand names and generic drugs, inventory management, finance, and insurance. The cost of the program is $1,399 for the traditional on-campus program or $1,199 for the online program. The pharmacy technician program at Lone Star College prepares students to enter the workforce in nine months. The program culminates with a Pharmacy Technology Certificate, but students have the option to stack the certificate and apply the credits earned to a Pharmacy Management AAS Degree. The cohort program covers two semesters and delivers a solid foundation to the pharmacy profession. Admission to the fall class begins in April. There is an evening option at LSC-North Harris available in the spring. The duration of the evening program is 12 months – from January through December. Course topics include pharmacy law, drug classification, pharmaceutical maths, community pharmacy practice, community pharmacy clinical, pharmacy technician certification review, and pharmacotherapy and disease process. Other topics include compounding sterile preparations, institutional pharmacy practice, and institutional pharmacy clinical. The program is accredited by the American Society of Health-System Pharmacists (ASHP). The average cost of tuition is $800 per semester based on residency. Northwest Educational Center pharmacy technician program trains students to perform the work of a pharmacy technician. Students will learn the principles of pharmacology and pharmaceutics, medical law, anatomy and physiology, medical terminology, dispensing medications, calculating dosages, pharmacy operations, and packaging and labeling. Other topics include safety procedures, drug laws and regulations, pharmacy terminology, prescription preparation, patient communication, and pharmacy laboratory procedures. Students will participate in the pharmacy externship upon completion of the classroom requirements. The curriculum covers 900 contact hours of theory and practical instruction. Students will complete 720 hours on campus and 180 hours of clinical externship. The day schedule may be completed in approximately 32 weeks. Classes meet Monday through Friday from 8:00 am to 2:30 pm. The evening program may be completed in 45 to 46 weeks. Classes meet Monday through Thursday from 6:00 to 10:00 pm. Externship hours vary. Tuition is free for qualifying students. The Pharmacy Technician Program at ACC leads to an Associate Degree and a two-semester certificate program. The program is delivered in a hybrid format, which includes internet and classroom courses, skills lab, and a clinical externship at a community, institutional, and specialty pharmacy. The certificate option requires completion of 32 credits in 2 semesters. Course topics include introduction to pharmacy, drug classification, pharmaceutical mathematics, pharmacy technician clinical, community pharmacy practice, pharmacy terminology, pharmacy drug therapy and treatment, institutional pharmacy practice, and institutional pharmacy clinical. Additional topics in the AAS program include compounding sterile preparations, anatomy and physiology, public speaking, general chemistry, and a selection from the Creative Arts Core Curriculum. The AAS degree requires completion of 60 credits in 4 semesters. Graduates will be prepared to sit for the PTCE. Tuition costs $257 per credit. Altierus Career College offers students a flexible option to complete the requirements for employment as a pharmacy technician. Classes meet three days a week on campus and complete the rest of the coursework online. The accelerated 8-month program facilitates fast entry to the workplace. Graduates will be prepared for industry certification and registration with the Texas State Board of Pharmacy. The program meets the guidelines of the American Society of Health System Pharmacists (ASHP) and has national accreditation from the ACCSC. Students will learn how to process and prepare prescriptions, manage pharmacy inventory, apply professional, legal, and ethical principles in practice, use critical thinking to solve problems, and communicate effectively with patients and team members. Preparation for the certification exam is included in the program. Through the use of PioneerRx pharmacy software, Altierus gives students valuable experience through simulations of the operation and methodologies used in modern pharmacies.